Flash - Funny Pictures, Funny Videos, Cool Videos, Humor for geeks in all of us! I don't feel good. Urgh! 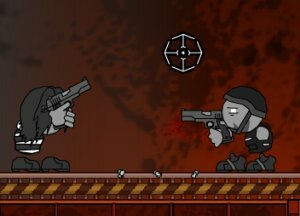 Very fun puzzle game that's a bit different from the others. Line up the right puppets while others invade your board. You need to draw a line to bounce back the boulders at the people throwing them. It's very addicting and fun. Another really fun Sudoku game, But this one is filled to the brim with extra stuff. Completely the best motorcycle climb game I've ever played. Get used to the controls and run through these hard levels of climbing! Hit the hack using your legs arms and head jump and dow spin kicks and other various tricks. Test your skills and see how many you can stack. 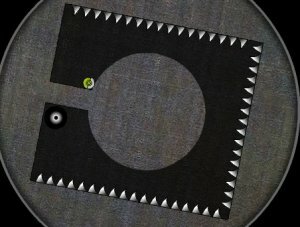 Gravity does the work in this game, all you have to do is rotate the circle, allowing the ball to fall through the maze. Thing-Thing is back, with more furious action than ever! 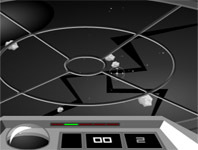 Its your job to blow up the asteroids before they destroy the mother ship! Use the electrified ball to gather the items and move on. Star Baron is a fun strategy game that is reminiscent of Nano wars where your stars generate resources and ships and you must send them to other planets to take them over from the enemy. You're a street fighting Hobo. Its either kill or be killed. If you like Tetris you will most likely enjoy this tricky puzzle game. Use the blocks to fill in the design. Arnold sings the blues using one of our great Arnold soundboards. Hint: If you've never done calculus, the way to get the bar on the left to move is through accelerating the bar on the right. A little test that analyzes your personality based on your colour preferences for different objects. Not exactly the most entertaining game out there but kind of interesting anyway. A new pinguin game with a slightly different premise. For those who want their pinguin a little faster. The classic pinguin game; no frills or gimmicks.